Justin Cooke, the former Topshop chief marketing officer and founder of Innovate7, has launched a social network that enables people to share images accompanied by snippets of songs from iTunes. The network, which is called Tunepics, launched on Wednesday night. Brands such as ASOS and Hunter, as well as celebrities including Jamie Oliver, Sir Paul Smith and Will.i.am, have signed up for accounts. 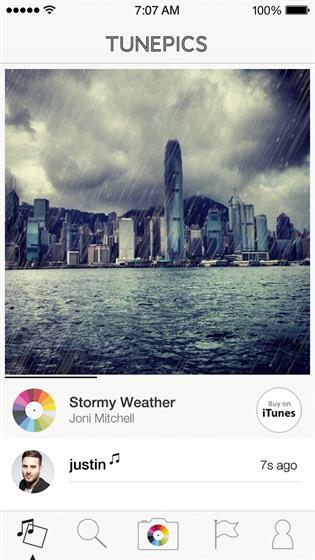 Users can search from more than 35 million songs on iTunes and add them to their photos. 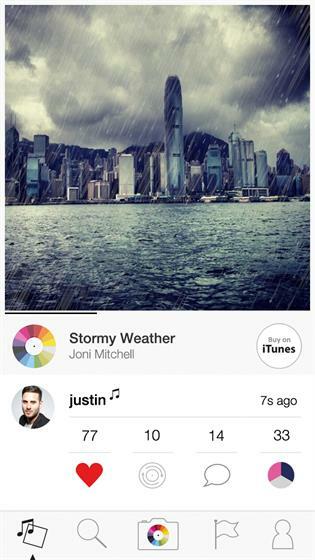 They are also able to express how they feel about each "Tunepic" using the "emotion wheel" to select a colour and mood, as well as add photo filters including weather effects. Tunepics can be shared on other social networks and by text message. The music track appears as a preview of a song on the iTunes Store, with a link to buy it. Tunepics is a member of Apple’s affiliate programme. However, Apple has not invested in the company, which is privately funded. Cooke said: "Music heightens any experience. It’s about capturing those moments where you can’t quite articulate what you want to say and sharing that. We think it’s highly disruptive and will be one of the fastest-growing social networks." 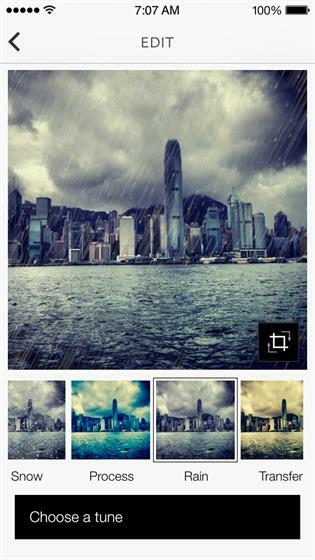 Tunepics was designed by Innovate7 and built by AKQA.